When you choose a purple colour scheme, making an impact is easy. Use a combination of wallpaper and paint to create a statement room that is bang on trend. Choosing a dark purple shade for all four walls can be a little overbearing but mixing and matching a deep purple paint with a lighter feature wall can be very effective. Our Damson in Distress paint looks stunning when paired with our striped Java wallpaper in a bedroom while our dramatic damask Vintage Flock wallpaper design would add a royal finish to a dining room. Dark purple tones work well with mahogany accents making it a superb colour choice for bedrooms or kitchens alike. Dark purple works especially well in social settings due to its lively yet jubilant aesthetic. Purple can be a sophisticated option for bedrooms, living rooms and bathrooms and pale purple shades can have a soothing yet stylish effect. 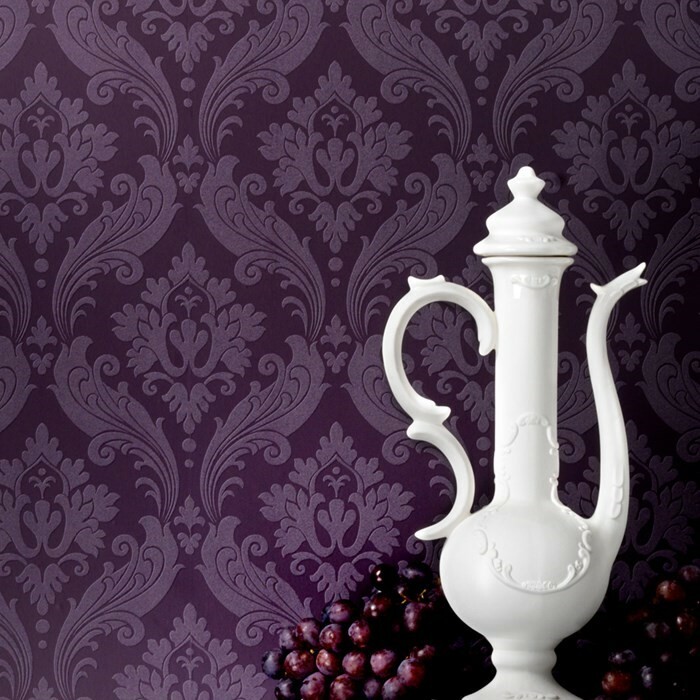 For a subtler look, swap block colours for ethereal deigns with our Mirage Damson wallpaper. If you want the colour purple to play a prominent role in your home décor but you want to keep it light and bright, look no further than our Lavender paint. This pretty shade is ideal for purple lovers that want a fresh décor feel that isn’t overpowering. 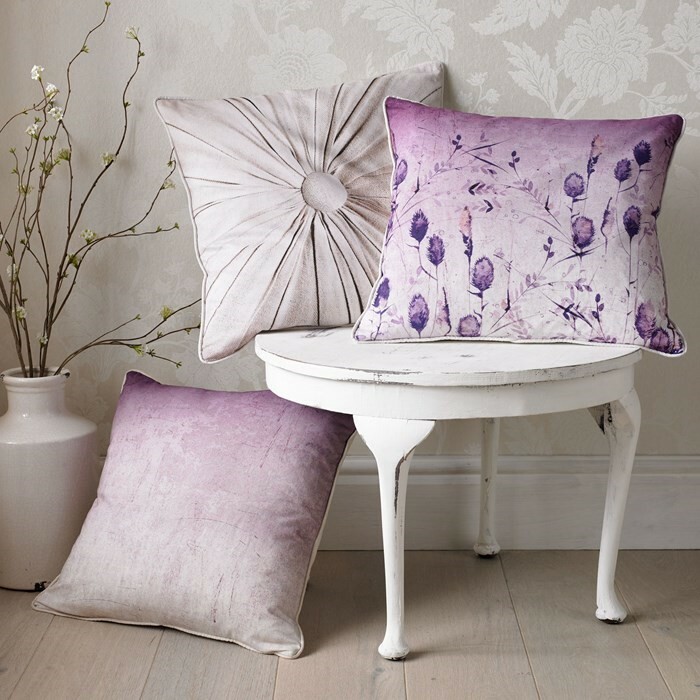 Emphasise the theme and add a finishing touch to any room with our opulent Mulberry Ombre cushions. If you love the idea of a purple colour scheme but don’t want to commit to it on your walls, accessories can provide the perfect colour update. Our plush Moody lavender rug, Seed Head Silhouette cushions and our Bloom Floral wall art allows you the perfect opportunity to experiment with purple. These striking accessories provide pops of colour throughout your home and look beautiful when paired with white accents.